We’re talking about stakes. And we don’t mean those slabs of meat you eat if you’re not a vegetarian, but what makes a listener or a reader care about a story. And we’re talking about what we have to lose as storytellers when we tell our stories. One thing we know about memoir writing is that the narrator lived to tell the tale. So if we know the narrator lived, why do we care? The job of storytellers is to make us care. Andrea talks about a writing webinar with Lea Thau, host and producer of Strangers, http://www.storycentral.org/strangers/. Lea describes how the written story is different than the event that actually happened. There's the situation and what the story is about. The most pointed way to figure out what the story is about, is to ask: What’s at stake? What is there to be lost or won? The biggest mistake people make is thinking that a dramatic experience equals a story. Andrea uses a personal example to illustrate this point. While Andrea was giving her vows, her uncle Bob went down. She realized that nobody was listening and then saw a man on the ground. The wedding went on, Bob survived, but no one heard her vows. The situation is that Bob went down but the real story, what was at stake was whether or not Andrea felt heard. We discuss what the students in Writing Class Radio have to lose by telling their stories. In Episode 3, Allison told a story, which implicates her mom. And her mom got pissed. And Danny dropped out. Sometimes we don’t know what’s at stake in telling our stories. That for some, there are real risks. But in the end, we think not telling our stories is riskier. We take you into class where Inessa struggles with how she wants to live without hiding. Inessa’s afraid to look bad, but she knows that hiding is worse. That’s her conflict. Those are the stakes. So we’re rooting for her. Go Inessa. You can do this. You also hear Wendi in response to the prompt: What Do You Have to Lose? And Terry tells us how her friend Fred’s death sparked the fear of losing all the people who share her past. Inessa tells a longer story about holding out for true love. Her mama describes her own life at Inessa’s age (40) and how Inessa’s life falls short of mama’s expectations. Mama wants a wedding and a baby. Her papa’s 20-year-old suit is still hanging in the closet waiting for that special day. Will Inessa continue to follow her own heart? Will she ever please her parents? You will hear a story by Christopher Alonso, a listener in Ohio, in response to the prompt: A time I fucked up. Here’s your assignment: Set a timer for ten minutes. Just write without stopping and just follow your mind. When the timer goes off, stop, read what you wrote into your voice memo and email it to us at info@writingclassradio.com. Some of your stories will get work-shopped in class and end up right here on our show. The prompt: What do you have to lose? Coming up in the next episode: Andrea tells her story about the time she challenged herself to go 24 hours without talking about herself. And you’ll hear Jahn Dope’s story about being a 250 pound black man in a very vulnerable position. The episode is about writing a story meant to be told out loud. 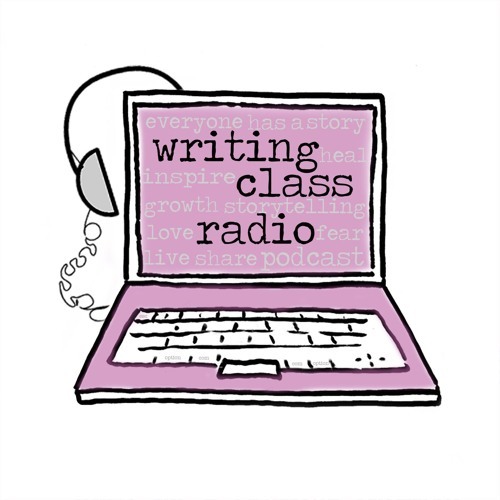 Writing Class Radio is produced by Diego Saldana-Rojas, Allison Langer and Andrea Askowitz with additional support from Tobi Ash and Wendy Pomeranz. Theme music by AstroMaps. Writing Class Radio is sponsored by and recorded at the University of Miami School of Communication. This episode is also sponsored by Victoria Azpurua at Raymond James and Associates. Contact Victoria for a free consultation or a second opinion on your portfolio. Go to Victoriaazpurua.com. There’s more writing class at writingclassradio.com. Study the stories we study, listen to our craft-talks, follow our daily prompts and time yourself. Then record what you wrote and send it in. What do you have to lose? Users who like Episode 9: Who Cares About Your Story? What Are the Stakes? Users who reposted Episode 9: Who Cares About Your Story? What Are the Stakes? Playlists containing Episode 9: Who Cares About Your Story? What Are the Stakes? More tracks like Episode 9: Who Cares About Your Story? What Are the Stakes?